Home » Mazda CX-3 » What are the best Standard Features of the new 2019 Mazda CX-3? What are the best Standard Features of the new 2019 Mazda CX-3? New Jersey shoppers in the market for a stylish and versatile subcompact crossover SUV are in luck with the new 2019 Mazda CX-3. The base model Mazda CX-3 Sport is unlike any base model you’ve seen before thanks to its host of safety technology, a high-tech infotainment system and so much more! Keep reading to take a closer look at the standard features of the new 2019 Mazda CX-3 at Mazda of Lodi in Bergen County, NJ! Check Out Our Inventory of New Mazda CX-3 Models! The 2019 Mazda CX-3 Sport – like all trim levels of the Mazda CX-3 – is fitted with a 148-hp, SKYACTIV®-G 2.0-liter four-cylinder engine and a SKYACTIV®-Drive 6-speed automatic transmission that features SKYACTIV-VEHICLE DYNAMICS with G-Vectoring Control. The efficient powertrain offers drivers an EPA-estimated 29 city and 34 highway miles per gallon. WHAT’S THE DIFFERENCE BETWEEN MAZDA CX-3, CX-5 AND CX-9 MODELS? In addition to the impressive list of standard features, Mazda CX-3 Sport models are fitted with a host of high-tech and innovative safety features that are often reserved for higher trim levels. Some of the best high-tech safety and security features offered as standard equipment include a rearview camera, Hill Launch Assist, Smart City Brake Support and Blind Spot Monitoring with Rear Cross-Traffic Alert! In addition to the base Mazda CX-3 Sport model, the new Mazda CX-3 is also available in Touring and Grand Touring trim level. 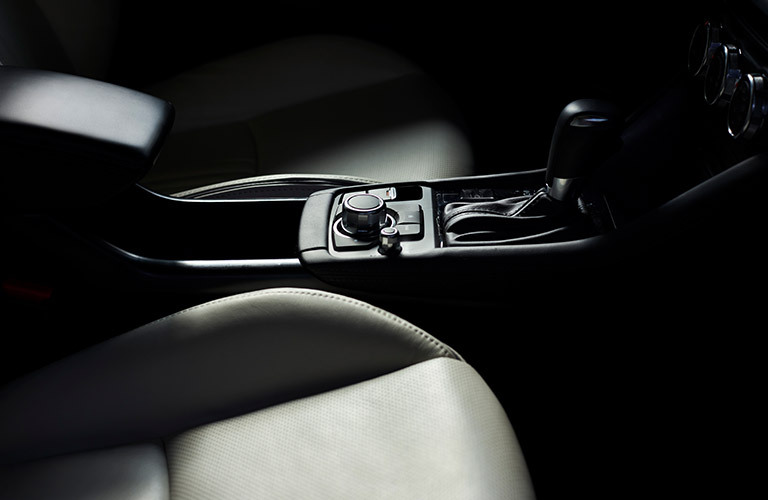 These additional trim levels are fitted with the same SKYACTIV®-G engine and SKYACTIV®-Drive transmission and offer a host of additional and upgraded features and options. Are you interested in learning more about the new 2019 Mazda CX-3? Contact us or stop down to Mazda of Lodi and chat with a member of our friendly and knowledgeable team! 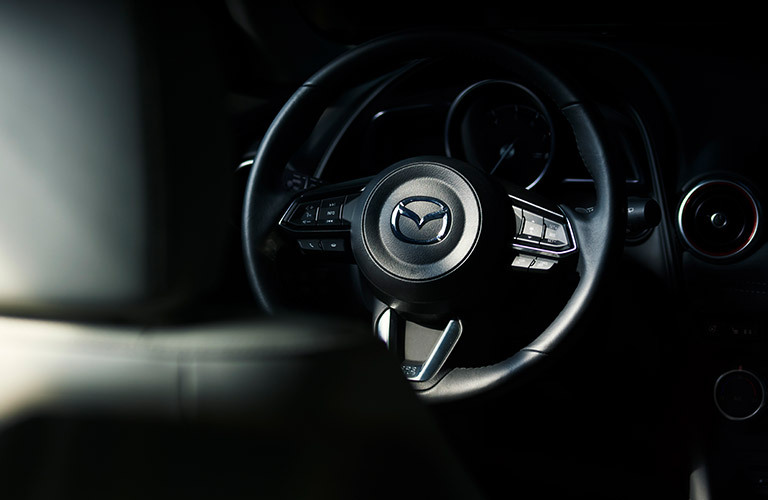 We’re here to help with all of your Mazda needs! Does the Mazda3 Hatchback or Mazda CX-3 Have More Cargo Space? This entry was posted on Wednesday, August 22nd, 2018 at 5:48 pm	and is filed under Mazda CX-3. You can follow any responses to this entry through the RSS 2.0 feed. You can skip to the end and leave a response. Pinging is currently not allowed.